This comprehensive travel guide to Grand Teton National Park and Jackson Hole ensures you plan the trip of a lifetime. Whether it is your first visit or your sixth, you will discover the park’s highlights, like a scenic float trip down the Snake River with the Grand Tetons as the backdrop, and other hidden gems you won’t want to miss. Learn where to look for the best photographic opportunities and wildlife viewing, including grizzly and black bears, moose, elk, bison, and more. Experience the splendor of the park by hiking into the wilderness. Popular and more remote hiking trails have been rated for difficulty and family friendliness. Daily itineraries maximize your vacation time by suggesting activities that are within the same area of this vast park. 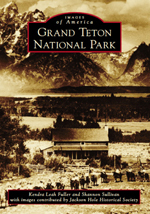 Accompanied by historical tidbits and Old West tales, you will want to keep this book handy as you travel in the park. 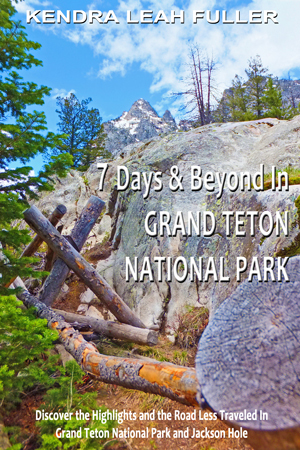 Every season and lodging choice in Grand Teton National Park has something special to offer. Learn when to go and where to stay based upon your family’s interests. You will find detailed information on the lodges in and near the park, camping and RV facilities, restaurants, gas stations, and helpful savings tips for planning your stay. A quick reference section provides easy access to lodging, restaurant, and activity information, including phone numbers and website addresses for your convenience. Enjoy your vacation in Grand Teton National Park.